Enrique Carmone, Carlos Muñoz, Ivan Uriach, "Rufo", Mónica Muñoz, Gonzalo Cordero "Richard" violento y pasional, Miguel Angel Muñoz, Juan Manuel Noves, Glòria Coll, Irene Viñas, Salvador Viñas, Raúl Olivares "Mode One", Esteban Hernández, "Luisillo", Marta Quijada, Juan Martinez, "Sheriff", Gabriel Tintò & Elisabet Perera "Closed", Toni Ruz, and to everyone who has supported this project. 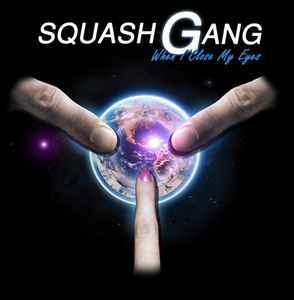 Classic italo disco band Squash Gang reemerged with its classic italo disco 'OG' style for another slab of vinyl to quelch the thirst of italo heads, great production and release out of Spain from the summer of 09. Haunting synth melodies and hearty singing and lyrics. Both tracks will grow on any one who experienced italo in the 80s and will give italo fans goosebumps at times, especially if dancing to them.